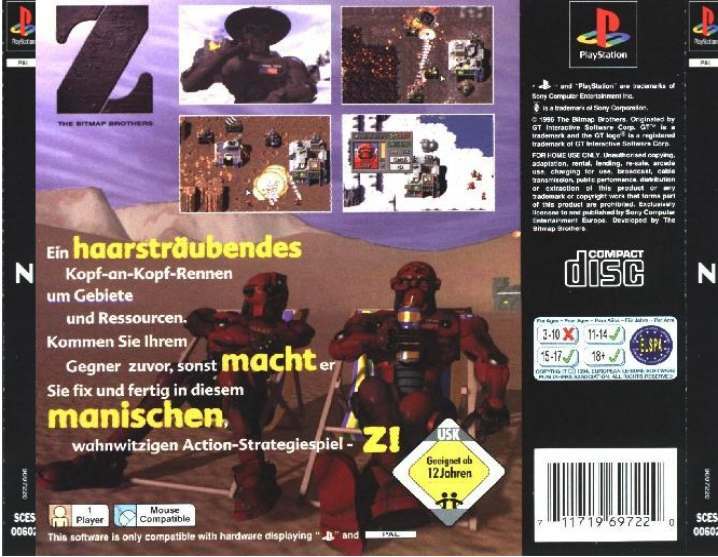 OverviewZ is a real-time strategy game released in 1996 for MS-DOS, PlayStation, Sega Saturn and Windows. It is about two armies comprised of intelligent robots fighting to conquer several planets. 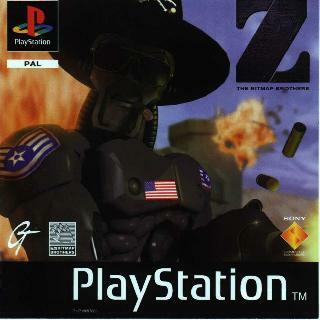 We all know that there are not many RTS games for PS1. OK maybe Dune2000, C&C series, Red Alert. But Z game is unique, in this game u cant build buildings and cant collect resources instead the player captures other bases. Each base after some amount of time produces units and vehicles, the player has the option to choose and select which kind of unit does he want the building to produce. In each mission the goal is to destroy the blue team. Graphics in this game is good for an RTS, and everything would be fine if not for those terrible controls. Because cursor is just to slow to move around the map...and speed is what you really need in this game because the AI is smart and it will have no mercy. This is a german version of the game... thats too bad if u dont understand german language because the comments units say are funny. Now you can add videos, screenshots, or other images (cover scans, disc scans, etc.) for Z (G) to Emuparadise. Do it now!